SIGNED BY ULYSSES S. GRANT AS PRESIDENT OF THE UNITED STATES. Partly-printed vellum document signed, “U.S. Grant,” as president. Military commission appointing H. Schuyler Ross a First Assistant Engineer in the Navy. 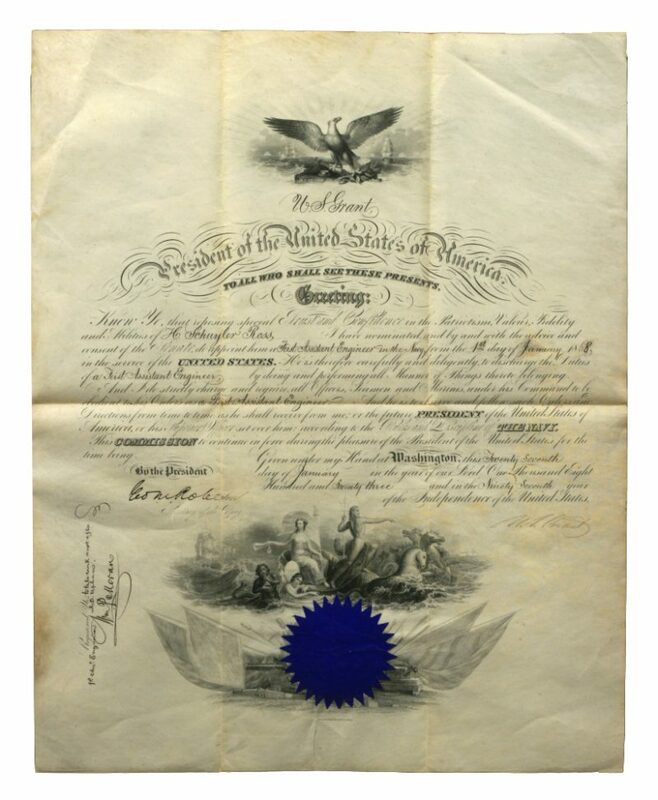 Countersigned by George M. Robeson as Secretary of the Navy. Washington, 1873. Approximately 19 1/2×16 inches; slightly faded signature, usual folds, minor soiling, seal intact.